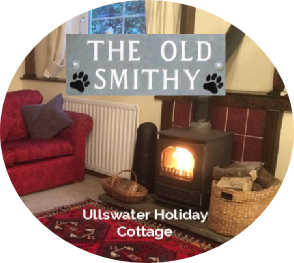 This pet friendly 3 bedroom holiday cottage is an ground floor apartment with an enclosed garden located at Grisedale Bridge between Glenridding and Patterdale by Ullswater in the Lake District. The cottage sleeps 5 in a double, twin and single bedrooms.. Pets are welcome. Parking for 2 cars maximum.. For information or to make a booking please call Sarah on 07799 520206 or send us an email.